No, you go first. It looks cold and rough out there. 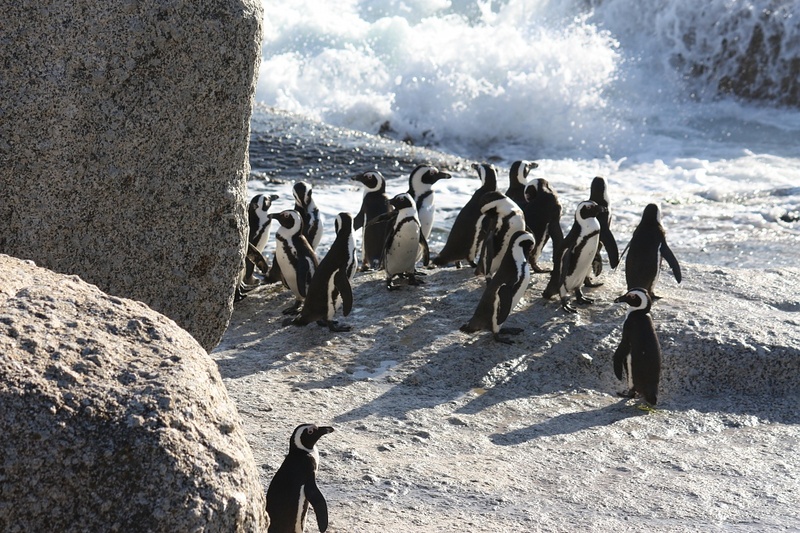 A colony of Jackass Penguins live at Boulders Beach, near Simon's Town, Cape Town. They are delightful to watch - but be careful of getting into their space. They are territorial and I can tell you from personal experience that they can peck really hard. Boulder's Beach is a beautiful, secluded spot and even on a windy day you can usually find a protected spot behind one of the enormous boulders. Oh my gosh! I love the shot. Penquins are such a neat subject. Looks like an incredible place. Wow! Great shot - they're adorable! Wow!! i love these little guys ..awesome picture! What a great shot. And this is real life not zoo! Now that's awesome! You, no doubt, have the first photo of penguins in their natural habitat...I can't believe how wonderful that is! Funny that they should be so territorial they'd take on a person! But I'll take your word for it! @Cupcake - no, I live in Kenilworth, but enjoy visiting different parts of the Pensinsula. No where is more than an hour away!